Doctor of Engineering science, Professor of the ‘Thermal power plants’ Department of the National Research University ‘Moscow Power Engineering Institute’ (MPEI). Scientific advisor of the scientific educational center ‘Noise reduction of energy equipment’, winner of the Government of Russian Federation prize for science and technology. He developed the theory of sound propagation in the channels of energy gas-air lines and boilers and the theory of calculating steam-laden emissions from power-generating facilities. New effective mufflers for the most intense sources of noise, namely mufflers for gas turbines and boilers-utilizers of combined-cycle plants, steam-laden emissions, blow fans and smoke exhausters, water boilers, were developed and implemented at the large and small-scale power-generating facilities by Vladimir Tupov or under his leadership. Vladimir Tupov designed highly effective noise barriers to reduce noise from transformers and cooling towers. At present more than 400 mufflers are operating. Vladimir Tupov has published over 350 scientific papers, including about 15 textbooks, manuals and monographs. He presented the main results of scientific research at the international congresses in Australia, Brazil, Denmark, Germany, Italy, Poland, Portugal, the USA, Sweden, South Korea and other countries. 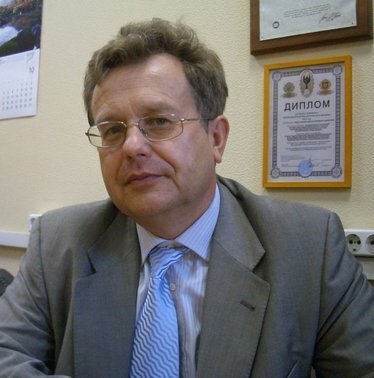 Vladimir Tupov is the academician of the International Informatization Academy (IIA), member of three dissertation councils, member of the editorial board of the Journal ‘Electric power stations’.